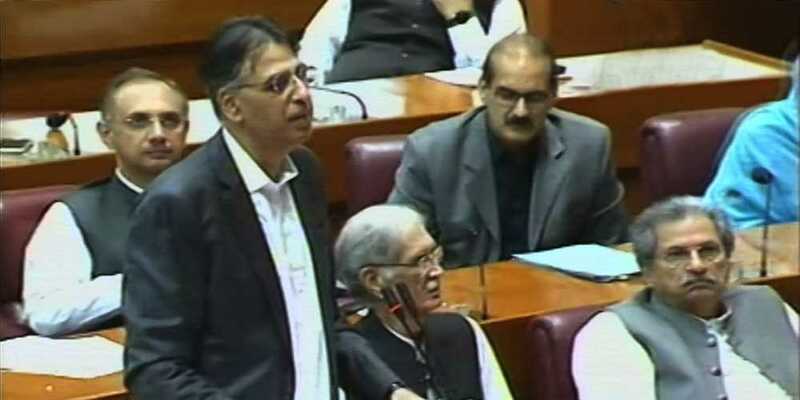 Finance Minister Asad Umar presented on Monday an amended finance bill for the year 2018-2019 on the floor of the National Assembly. Addressing fellow parliamentarians, Umar said that the country is faced with a grave economic crisis, emphasizing that the deficit can reach a mark of 7.2% if present conditions prevailed. “Rupee depreciation has hit the common man most,” he added. Umar stressed upon the importance of pulling the country out of its debt burden and said that it is the new government’s top priority. He warned the import cover at present is less than two months, which may build pressure on the rupee. There was a loss of Rs450 billion in the power sector in one year, Umar informed the Lower House. This loss can climb to Rs2.9 trillion if not curbed. He asked for recommendations from fellow parliamentarians and assured that they will be deliberated upon. The finance chief also said pensions will increase by 10%. Lamenting the current foreign debt, Umar explained that when the rupee depreciates, the gas rates also fall simultaneously. Recounting current hurdles the government has to face, Umar said that all steel mills have been shut and all loans of the national flag carrier have to be paid by the federation. He said they had to take a lot of measures to improve governance, electricity and gas issues.